Nearly half of all young people in Latin America never finish high school. To explore this dropout crisis, creative director Gael García Bernal gathered 11 award-winning filmmakers who have created a captivating anthology of short films, both narrative and documentary. There is no easy solution to this complex issue, and each short delves into the underlying reasons, from poverty to societal traditions, that students aren’t graduating. 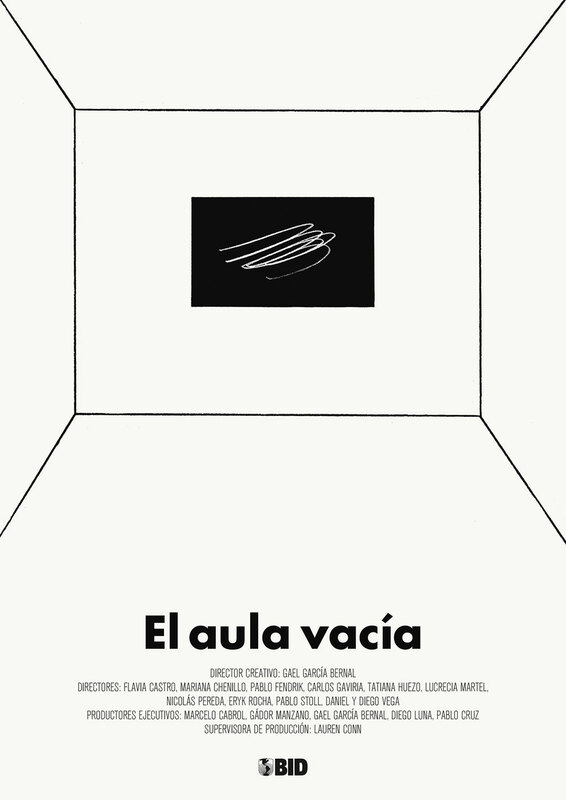 This omnibus features films by multi awarded filmmakers Argentina’s Lucrecia Martel (The Headless Woman) and Pablo Fendrik (Ardor), El Salvador’s Tatiana Huezo (The Tiniest Place), Mexico’s Mariana Chenillo (Pragda’s own Paradise) and Nicolas Pereda (Greatest Hits), Peru’s Daniel and Diego Vega (The Mute), Uruguay’s Pablo Stoll (Whiskey), Brazil’s Eryk Rocha (Cinema Novo) and Flavia Castro (Diaries, Letters, Revolutions), Colombia’s Carlos Gaviria (Potraits in a Sea of Lies). 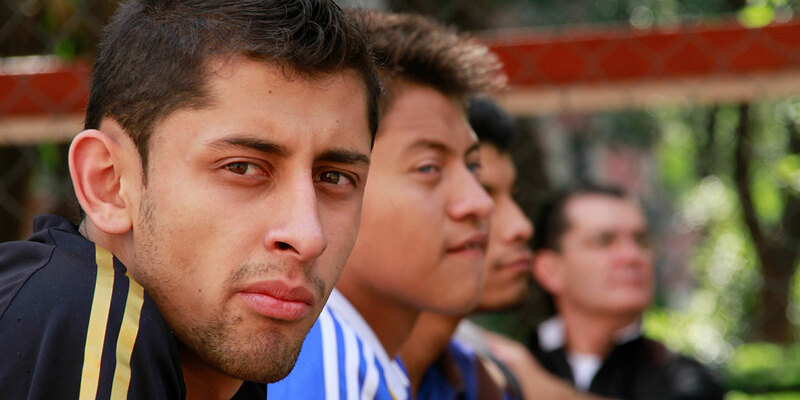 Among many issues, the short films explore the links between the dropout crisis and violence; how to identify students at risk of dropping out of school in Latin America; the lack of interest in school that is preventing students from graduating; school exclusion in indigenous communities; the not-so-typical challenges to finishing high school faced by a deaf student; the relationship between the financial cost to staying in school and its benefits; and what happens when drop out students want to go back. Gael García Bernal began his professional career as a child actor. He studied in London at the Central School for Speech and Drama. He made his big screen debut in Amores Perros, directed by Alejandro Gonzalez Iñarritu and nominated for an Oscar for Best Foreign Language Film in 2000. His next film, Y tu mamá también, directed by Alfonso Cuarón, was an international success. Gael made his debut as a director with Deficit, an independent film shot in Mexico. In 2005 he founded the production company Canana with Diego Luna and Pablo Cruz. Carlos Gaviria directed the award-winning documentary 500 segundos: Los niños de las Américas (500 Seconds: The Children of the Americas), which was shown on over 250 television stations around the world. In 2010, Gaviria finished Retratos en un mar de mentiras (Potraits in a Sea of Lies), which went on to become the most award-winning Colombian film. Brothers Daniel and Diego Vega burst onto the film scene with October, which won the Jury Prize at the 2010 Cannes Film Festival. Their second feature, El Mudo (The Mute), was invited to participate in L’Atelier program of the Cannes Film Festival in 2011 and won the award for Best Director at BAFICI. Eryk Rocha was born in Brasilia. Since the successful debut of his first feature-length film, Rocha que voa (Stones in the Sky, 2002), his movies have been screened at film festivals all over the world. Brazilian director Flavia Castro has won 14 national and international film awards since the successful debut of Diario de uma busca (Diaries, Letters, Revolutions). She is currently working on her next feature film, Joana. Lucrecia Martel‘s films La niña santa (The Holy Girl) and La mujer sin cabeza (The Headless Woman) competed at the Cannes Film Festival; a festival where she also participated as a judge in 2006. Mariana Chenillo has won the award for Best Director at the 31st Moscow International Film Festival. Her most recent film, Paraíso (Paradise) was screened at the 2013 Toronto Film Festival, as well as San Sebastian, Morelia, and Rio de Janeiro among others. Nicolas Pereda’s films have been screened at some of the most prestigious film festivals in the world including Cannes, Venice, Rotterdam, Oberhausen, Vienna, and Edinburgh. Argentine writer and director Pablo Fendrik, has presented his award-winning films The Mugger (El Asaltante) and Blood Appears (La Sangre Brota) in the Critics’ Week at the Cannes Film Festival. His latest film, El Ardor, premiered at the 2014 Cannes Film Festival. Uruguayan filmmaker Pablo Stoll Ward, wrote and directed award-winning film Whisky (2004) which was released commercially in over 25 countries. His film 3 was released in the Directors’ Fortnight at the Cannes Film Festival in 2012.